Playtech Bingo Sites | Grab the best deposit bonuses! Since 1999, Playtech has established itself as pioneering virtual bingo software provider, and an industry leader in the world of gaming. Also known as Virtue Fusion bingo sites, many of the biggest brands on the gaming scene are powered by Playtech software. Playtech has a flair for raising the entertainment stakes and producing enthralling, cutting-edge and realistic bingo sites with attractive interfaces. 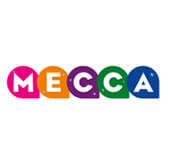 Each new Playtech bingo site is designed ‘for maximum entertainment and the biggest community buzz’. The brand has made a big mark on the industry, and can now showcase a huge catalogue of fully-integrated gaming releases. The hit games range from Casino and Poker to Bingo, Live Games, Sports Betting, Mobile and Social Gaming. 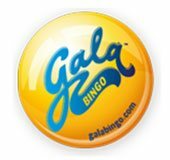 With an exceptional and leading-edge design team, each bingo site and game has been crafted to perfection and infused with stunning, realistic graphics, mind-blowing animations, sophisticated features and resonating sound effects. 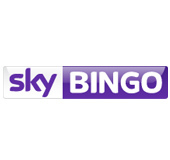 So we’ve selected the best Playtech Bingo sites for you. Playtech has produced a unique set of themed 75 ball, 80 ball and 90 ball variants, like The Press Room 90 Ball, A Night on the Town 75. The brand has also produced some innovative releases with ‘maximum entertainment value’, like Cash Cubes or Deal or No Deal 75 Ball Bingo games. The brand has a flair for churching out some of the hottest Playtech slots, as well as progressive jackpot and scratch card hits. These range from Rich Treats and Clover Rollover to Amazon Wild, Britain’s Got Talent Superstar. On may bingo sites, you can also spin through popular slots hits from other providers like Rainbow Riches, Leprechaun’s Luck and Wild Gambler. Playtech games have also been streamlined to operate seamlessly across multiple Platforms like mobile, IOS, android, and tablets. Always at the forefront of innovation, Playtech recently developed a new HTML5 Flash optimised platform, which has helped raise the industry bar. There are plenty of Playtech/ Virtue Fusion sites which offer rewarding no deposit bonuses and deposit welcome bonuses. Bingo sites powered by Playtech are also free to offer a customized set of unique themed promotions. These range from Free spins, bonuses, cashback, and lucrative jackpots.